What you don’t like, is when the tools you are using are not fun and up to the task. And you need to resort to workarounds to get the job done. You may even have to write a few lines of code. Which is not your strongest skill. Workarounds and coding can take up time that you would rather devote to what you excel at – web design. The time you lose only compounds the stress you may already be experiencing, and, as much as you love web design, it becomes a chore. The solution? Find a tool, like this one, that’s actually fun to work with. Find a tool that does what it is supposed to do; without requiring extra effort on your part. A web designer trying to cool down after the daily battle with his WordPress theme. If only all WP themes featured flawless code. Making a choice might be difficult, since most of them would have superb performance, and be easy to use. That is not typically the case however. Many WP themes are built around bloated code, and bloated code is a primary cause of inefficient performance. 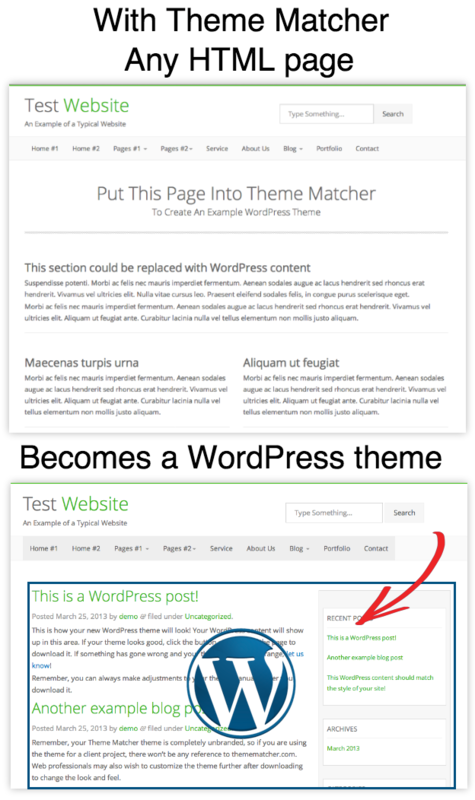 When you purchase a WP theme, the code is not front and center for your inspection. You either need to check out the reviews, which is never a bad idea, or look into the author’s background and experience. If the authors have created one or two other WP themes, or have experience on various CMS platforms, you can be quite certain their code is clean and efficient. An intuitive WP theme puts the fun back into building a website. With Kallyas, there is no need for workarounds, and no need for coding. Kallyas lets you focus 100% on web design. You will benefit in several ways by selecting a WP theme with an integrated front-end builder. You don’t have to worry about page-builder plugin compatibility or updates. Your project will move along faster. there will be a definite uptick in the quality of your deliverables. 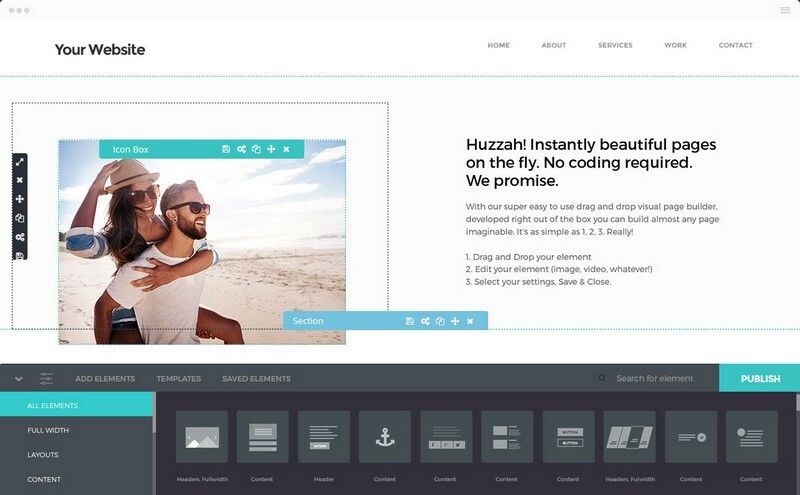 This integrated front-end WP visual builder’s UI makes page building fun and relaxing. If you’ve become used to, drag and drop page building, using the edit, save, review process, you may not realize that there is an easier, faster, way. Integrated front-end page builders skip the save and review process. These often require a number of time-consuming iterations. Now, when you drag and drop, you see the results in real time. Another advantage is this. If your client requests a change in a website page, you can do it in minutes, and often in seconds. This video, which shows the integrated front-end builder in action; demonstrates why page building can be fun and relaxing, and never a chore. The right WP theme for you is one that has the means to manage its resources, so you, and the user will have pleasurable design and user experiences, respectively. You should not have to spend time figuring out ways to improve page loading times. The authors of Kallyas realize this. The result – a WP theme that smartly manages resources so as to impact users in a positive way. While some WP themes load every element that might possibly be needed to create a page, plus a few for good measure, Kallyas loads only the necessary elements. Users are happy; especially the mobile users, who will quickly look elsewhere if pages are slow to load. One of the secrets behind Kallyas’s fast page loading ability is its clean code. Another, it the integrated front-end page builder. 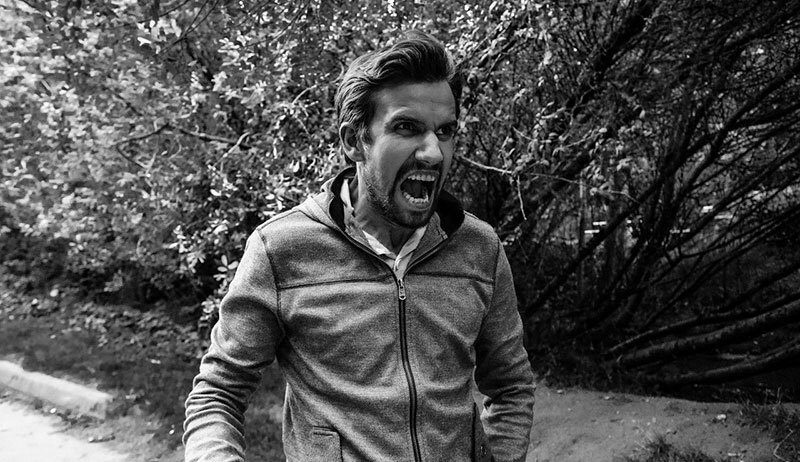 Users are happy, clients are happy, and you are relaxed, and feeling a lot less stress. Kallyas is not only enjoyable to work with, but you can sit back and take pride in the final results as well. You naturally choose the tools, and practice the methods, that support your style of work. You’re careful not to stay so tightly within your comfort zone that you allow the design world to pass you by. You like you work as a web designer. There are times however, when you wish you could spend 100% of your time as a creative designer. And less time responding to design tool idiosyncrasies that can make your work more of a chore than an enjoyment. Maybe it’s time to be able to relax and enjoy your work more. Kallyas can make that happen. Give Kallyas a good, hard look. It won’t be time wasted. You’ll quickly discover why this WP theme, with its clean, solid code, great resource management capability, and awesome UI, is precisely what you need. A solid investment that is pure enjoyment to work with. I went and took a look at the theme website and company website. The theme looks interesting, but it puts me off when an “About” page says nothing about where the company is located. I know they probably have lots of people working remotely, but surely they have main offices in some country or other? When they refuse to say, it just seems like a bad sign. Also bugs me when a theme company misspells “WordPress” front-and-center on their site. I know, it’s not the end of the world, but it just erodes my confidence in them a bit! Guys from Kallayas are paying for posts now? I don’t want to sound as a troll, but I had a really nasty experience with this theme some time ago when I had to update it and it broke a client’s website although we were using a child theme. Styles happened to be broken too, as some of the classes in the markup were changed. It could be the case that I came to project at the wrong time, but rolling out a new version with rewriting everything in the theme, without providing backwards compatibility for child-themes developed before ain’t cool. Hi Vladimir, did you contact Kallyas about this? What was their feedback? Can you please explain what you meant by backwards-compatibility with child themes? Sadly I can’t dig into the communication that was lead about an year ago (when the major new 4.0 was released). I am not entirely sure if support of Kallayas was contacted, but that wouldn’t help much, as the problems were clear and there was no point in asking for directions at the time. By backwards compatibility I meant always considering child themes, developed for older version of your theme. Function, constants, global variables, classes and so on should not be renamed or at least some stubs should be left in order to prevent those child-themes from breaking. Same should be done for classes and ids. I can’t tell all of these were broken rules in Kallayas upgrade to v.4.0, but I do recall having some bad time after the upgrade, coping with such issues. Most probably newer users won’t have the same problem, as long as there are no major rewrites. Same applies for non-developer users, who are not even bothering with child themes and overwriting templates. Nevertheless, I felt like I should share my experience. Indeed, I don’t see this being an issue now, and yes, you should always work with a child theme rather than making changes to the main theme. If you don’t create a child theme you will always have trouble with updates. As much as I understand your point and agree with you, from experience, I know that certain changes and updates could cause some incompatibilities, but they would also be required for the improvement of the theme or plugin. Yet another thing that I just remembered now (as my client complained of the page load speed) – there are elements from the builder that don’t care what size of image they are displaying and on what screen, so we end up with about 10Mbs of images from the Portfolio Archive, without control over the sizes of the images that will be shown as thumbnails. Same issue is with the grid view of the blog and with gallery grid element, probably in other places too… Please fix this in any of your future versions, as it’s a shame to be aware of the srcset attribute in img tag and not to use it everywhere where it could be useful! Let me know if you need to discuss any of the/other issues through another channel. I’ve said everything I felt like sharing under the post already.